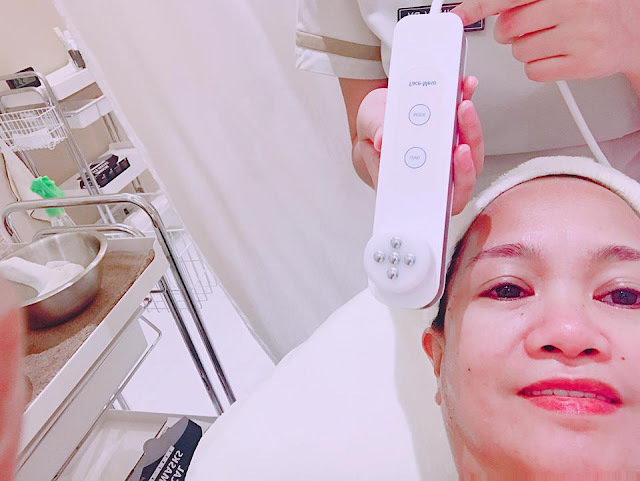 I am probably what you could call a "facial-o-holic" --whereas foodies go around the metro to trying out new restos I like checking out the newly opened clinics and salons to test out their facial services. I think I've probably tried all sorts of treatments from Whitening, Anti aging, Black doll facial (the one with black carbon), Vampire, V-lift, with or without masks, RF, face vacuuming, and most recently the one they call HIFU, ((High-intensify focused ultrasound) which is quite popular to people around my age who like that instant lift without surgery. It has no downtime and non invasive, it lasts till 6 months. Its good for saggy and wrinkly skin. Its my favorite treatment because you will instantly see results after the procedure, but it costs you your two months salary. I wish I have the money to splurge every six months. That's why Im on the lookout for the same procedure without breaking the bank. Until I got an invite to Miss Esthe Facial Salon and Skin Care from Tokyo, Japan, Miss Esthe is located at the 2nd Floor of Uptown Mall in Fort Bonifacio. Miss Esthe Facial Salon and Skin Care from Tokyo, Japan, when asked why Miss Esthe Miss” signifies youth and “Esthe” is a short term for Esthetics. The clinic is operated by Ms. Chinky Gabas, Director and Ms. Chiharu Nagano, Japanese Master Trainer. Their estheticians are all well-trained from Japan and undergone supervision from Ms. Chiharu Nagano. They are also trained to operate the state-of-the-art Neo Energy EX facial machine, which ensures a highly effective, safe, and non-invasive way to provide facial care. Before doing my facial, Ms Nagano checked my skin and told that since my T-zones are oily and the rest of the face is dry. She recommended the anti aging with whitening facial. She introduced me to my Esthetician Pauline who gave me the most relaxing facial, back and neck massage before proceeding to cleaning and pricking. The massage relaxes. I slept for about 10 minutes. Ms Pauline cleansed my face thoroughly using upward strokes to prepare for my pricking. It was my first time to try a "scrubber" pricking machine. Its the Crystal Clear Facial blackheads and whiteheads removal which uses the D-Sonic probe. 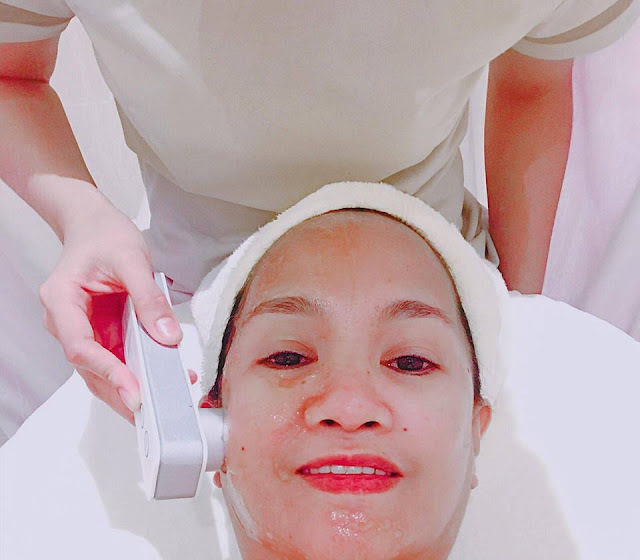 Then, after the Crystal Clear machine , she uses the magical anti aging V lift machine, Meso, which instantly lift up and gave me that "humpak" face look. I swear, you can see the difference right after the procedure. The whole treatment is relaxing and invigorating. Its affordable for the price because you can see the difference right after the meso. It is highly recommendable. I know, I will be back in a week. 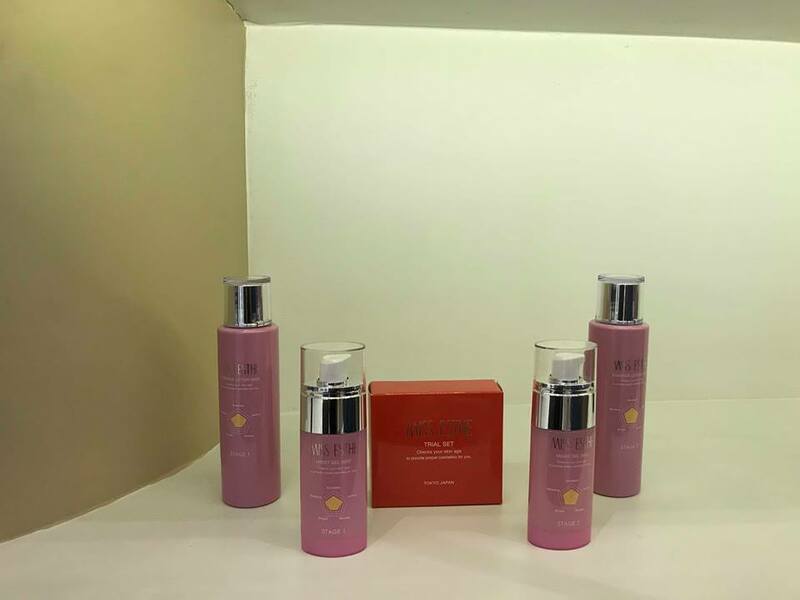 Miss Esthe offers scientifically advanced, non-invasive, customized, age-defying and radiance-enhancing products and services from a company that has been studying women’s skin seriously for three decades. “In Miss Esthe, estheticians are not just therapists. They have a good understanding of their clients’ needs and situations and can provide the right advice, treatment and products for home care,” Gabas added. 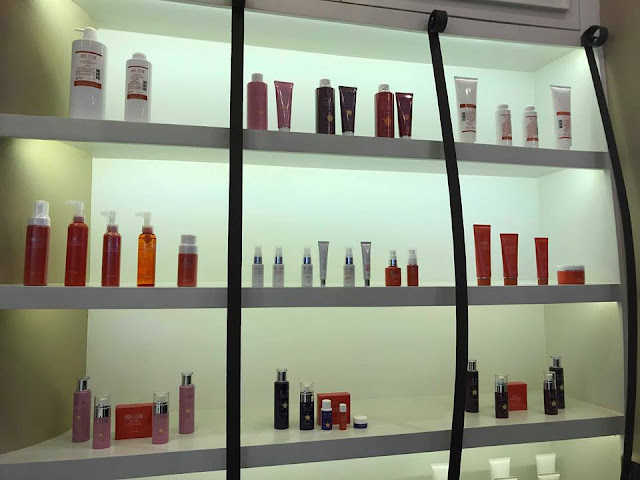 What started out 30 years ago with seven staff members now has about 50 esthetic salons in Japan under direct management by the company and 100 franchised branches nationwide. There are also Miss Esthe subsidiaries in South Korea, Shanghai, Singapore, Malaysia, and France, making it one of the leading companies in the esthetic industry. 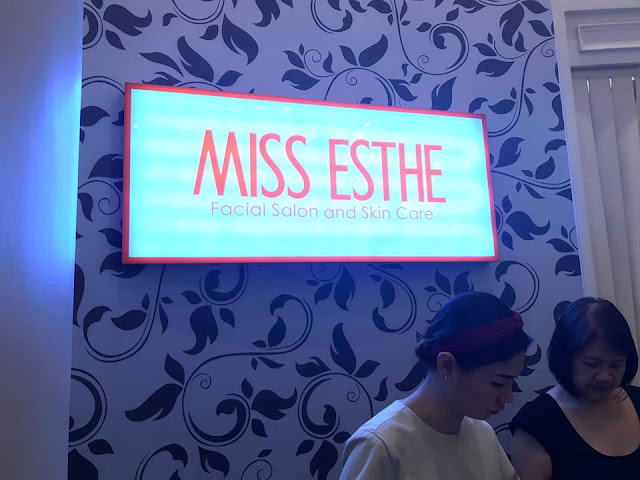 Over the years, Miss Esthe developed raw materials and products, improved their techniques, and worked towards assurance and safety for all clients and brought all these to the Philippines. The products and treatments are perfect for different kinds of skin types and lifestyle. 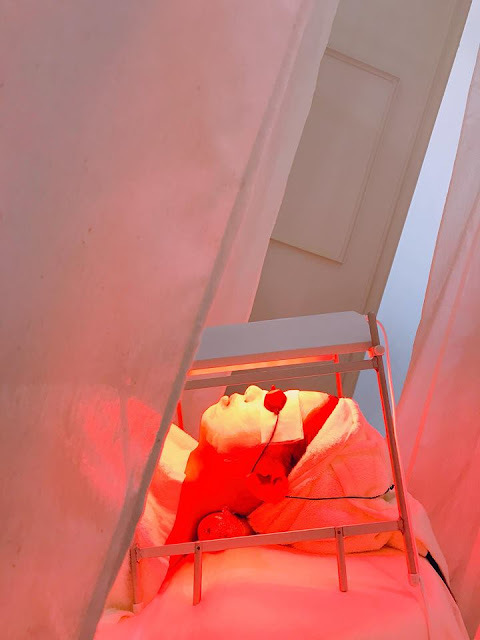 There are those that are affordable even for young working professionals who need a quick perk-me-up with their 30-minute stress-relieving Japanese Facial Massage. There are also packages that involve more complex treatments using highly advanced Japanese skin care machines for those who love a little more luxury. All treatments bring outstanding results. 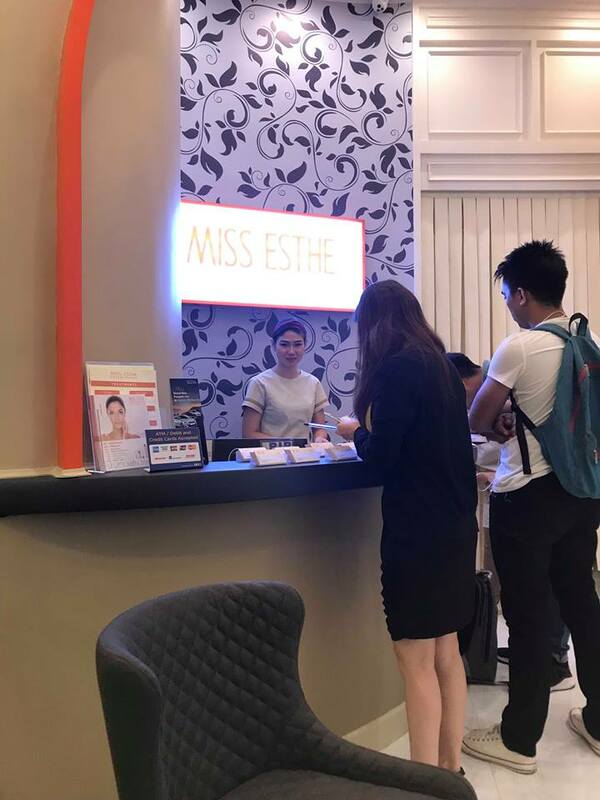 “We have a promising location in one of Metro Manila’s progressive cities, and Miss Esthe is looking forward to providing the best of Japanese beauty techniques to Filipinos who are discerning in their choices for self-care,” said Chinky Gabas, Director in Miss Esthe Facial Salon and Skin Care. Its customized skin care solutions help women (and men) achieve beautiful skin regardless of age, skin type and complexion. 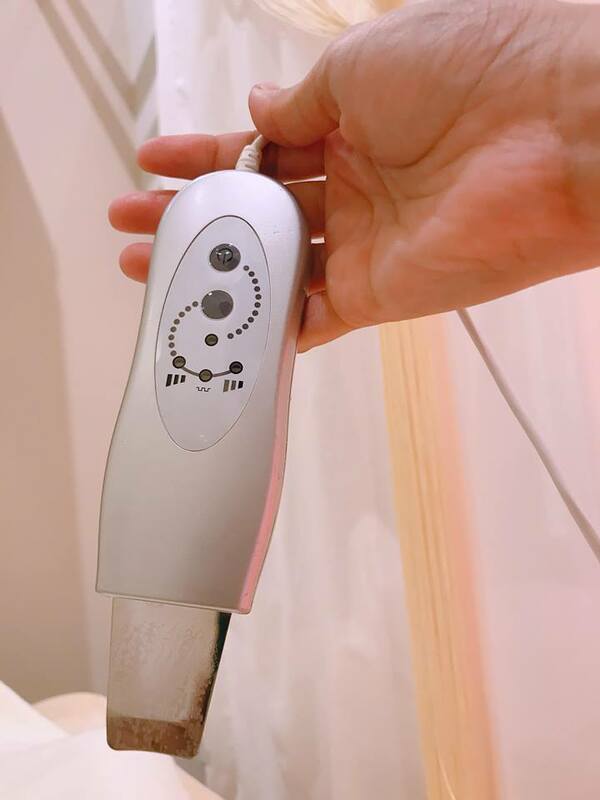 The one-of-a-kind Miss Esthe Skin Navigation System, a new method in the facial salon industry, has an original skin analysis system that are used by estheticians by asking clients some questions before they look into skin “age”. This age is determined from various perspectives such as spot age (age of the skin based on the appearance of age spots), wrinkle age (age of skin based on the appearance of wrinkles), and skin texture age (age of the skin based on its texture). From there, the esthetician can suggest the treatments and cosmetics needed to address the customer’s present skin conditions. “Filipinos love to take selfies and look beautiful. Therefore, having a V-shaped, lifted and firm skin is important for those selfies to look amazing. Our signature Instant Lift treatment achieves that,” Gabas added. Perk Me Up, 30 minutes facial massage P750.